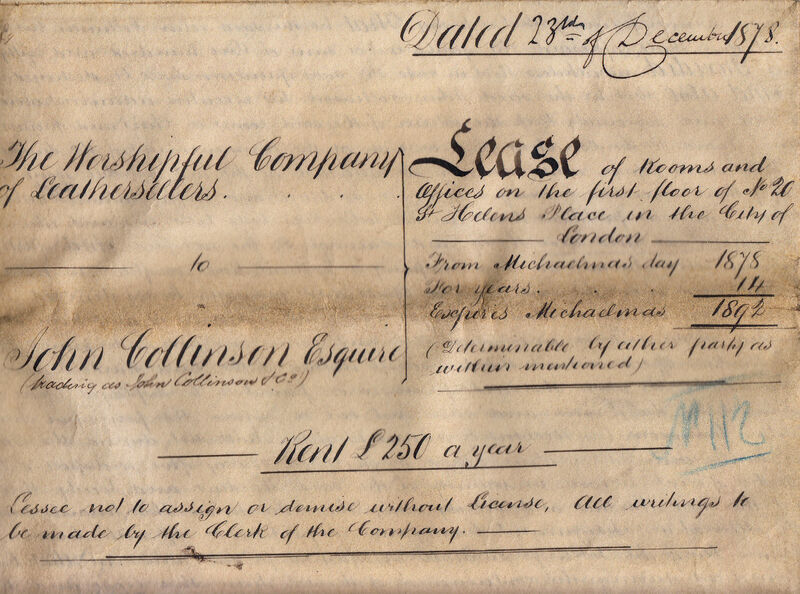 Lease of Rooms and Offices on the first floor of No. 20 St Helens Place in the City of London, by The Worshipful Company of Leathersellers to John Collinson Esq. at a Rent of £250 a year. Large Vellum Indenture, folded, in good clean condition, signed by John Wotherspoon as Master, with a fair example of the Leathersellers seal in red wax beneath. 23 December 1878.